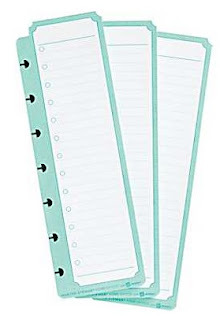 There is one thing that frustrates me about many of the organizers, binders, and planners on the market today; they aren't very customize-able For example, I really don't need an address book section to my planner (I store most of my addresses online). I also don't like week-by-week pages, but I love GIANT monthly planning pages and empty pages for my scribbles and notes. 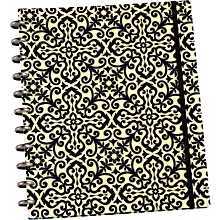 Because I'm like no one else on Earth, it just makes sense that my ideal binder not look like anyone's either. That's why I was happy to learn about the new Martha Stewart Home Office with Avery Discbound System, a planner that lets you put in (and take out) all the planning pieces that you think need to be shuffled around to make your perfect planner. The pages don't tear out, so you'll never waste paper. You can feel good knowing that you have all that important info in something that won't go away if you drop you phone in the toilet, either. 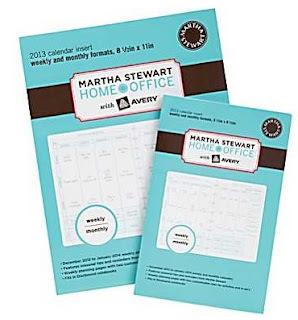 This cute and versatile solution is just one of many available in the Martha Stewart Home Office line now available at Staples. I like the colors of this product, too -- subtle, fashionable, and me!